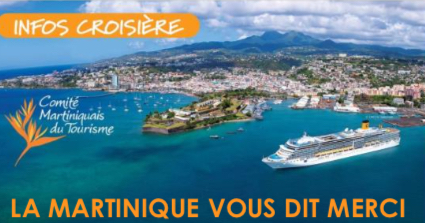 In the 2017–2018 season, Martinique welcomed over 643,000 cruise passengers. With the number of visitors on the rise, the French Caribbean island has launched a campaign to make travelers’ experience even better. Whether they spend their excursion sightseeing in Fort-de-France, sampling the delicious local cuisine, or lounging on the beach, cruisers will be met with a warm hospitality that will make them feel right at home—and have them longing to return!